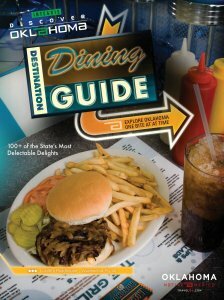 Oklahoma's welcome centers can provide you with a slew of great brochures, maps and visitor guides. The welcome centers are operated by the Oklahoma Tourism and Recreation Department, and are strategically located around the state. And many of their travel guides are also available from the Travel OK website. But here's a tip for making the most of all that great stuff- drop by before heading out on your trip. So many travelers visit a on of Oklahoma's Tourism Information Centers as they hit the road on their big adventure. Consider this alternative... Instead of filling up your back seat with brochures on your way out of town, pick some up beforehand. So instead of fumbling through all of that paper while you're on the road, you can use them to pre-plan your trip. Once you know where you're going you can bring along only the brochures you might need. This idea reduces clutter in the car, and saves paper too. Plus, it's helpful to have all that information while planning your trip. You can visit websites, research nearby attractions and plan out your route with online mapping tools.